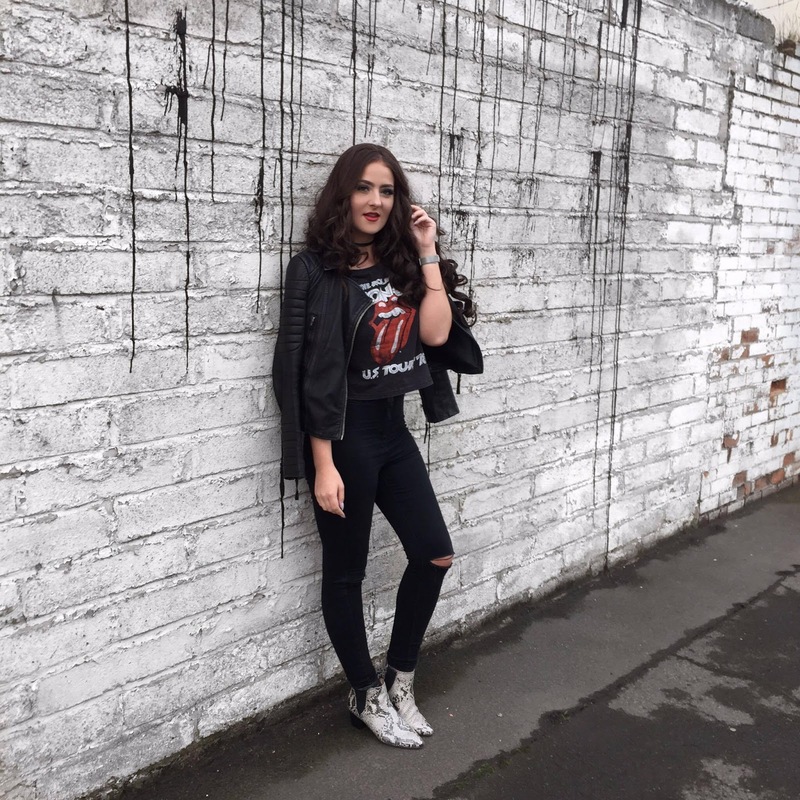 FASHION || Trend Alert - Band T-shirt's that are so '90s! 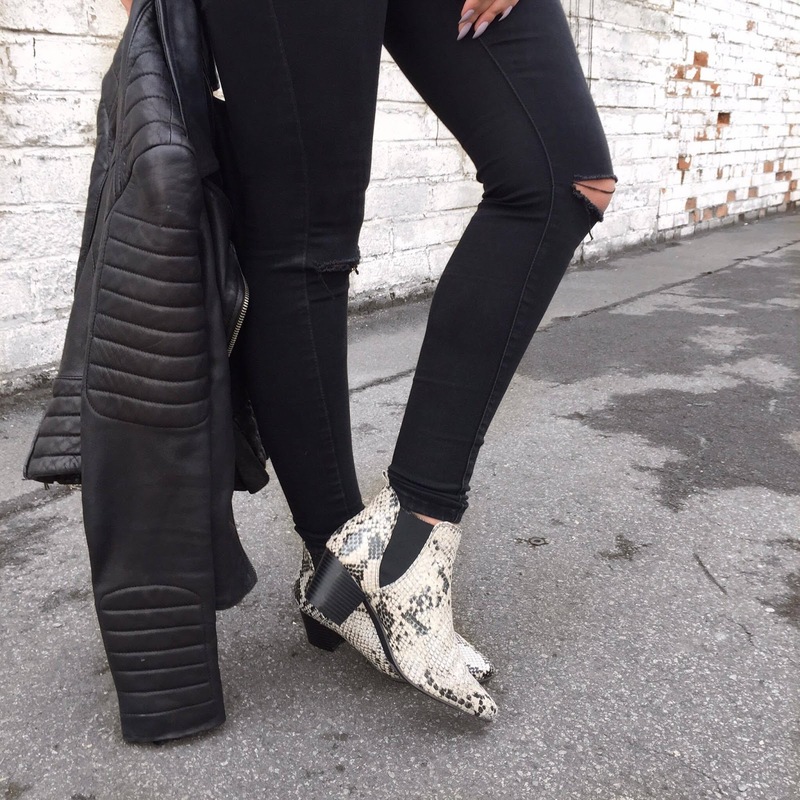 | Your Daily Dose of Style. 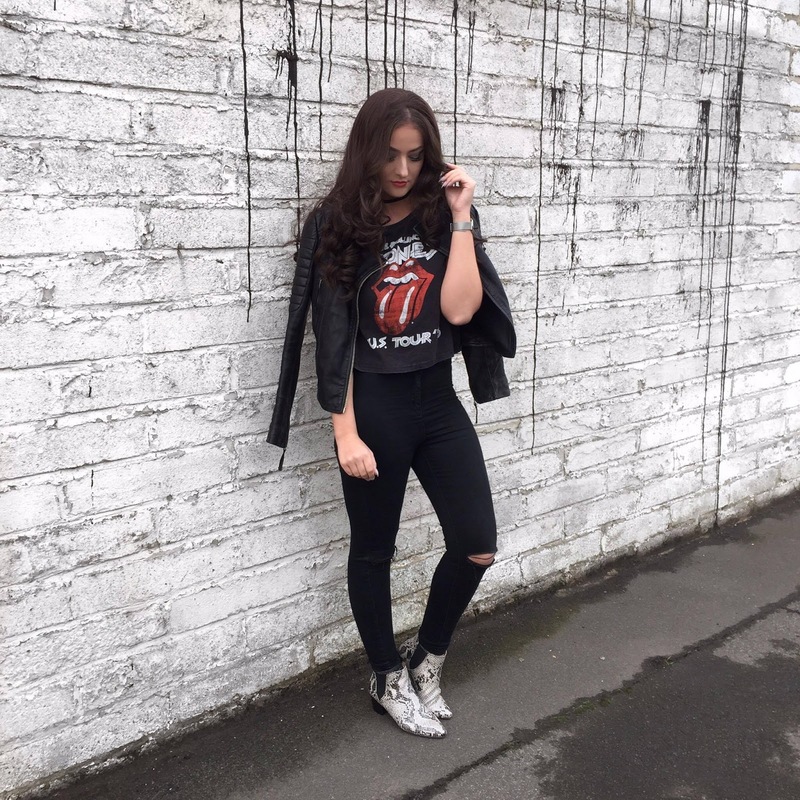 FASHION || Trend Alert - Band T-shirt's that are so '90s! 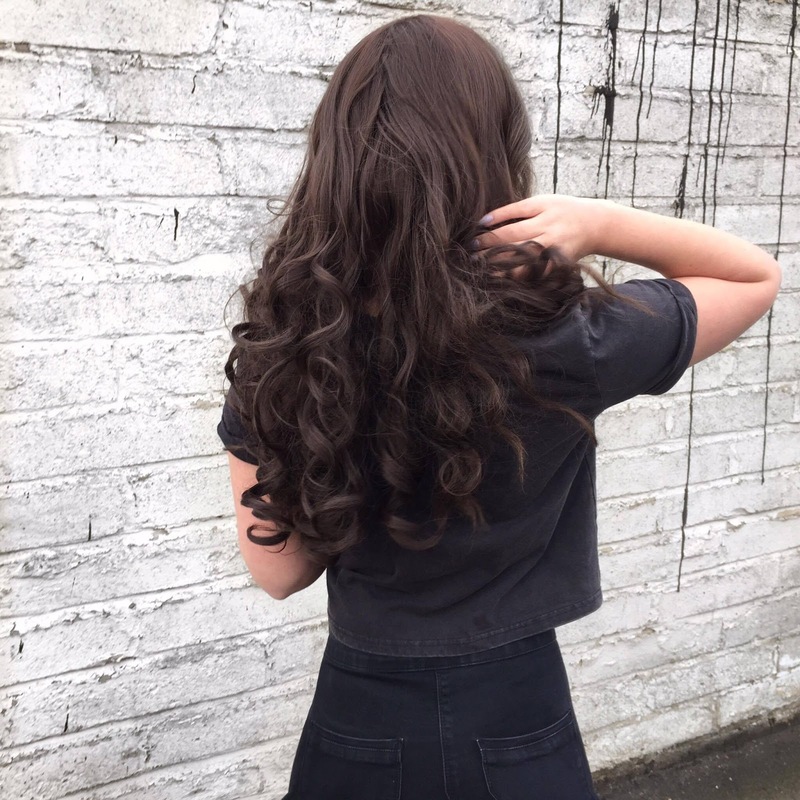 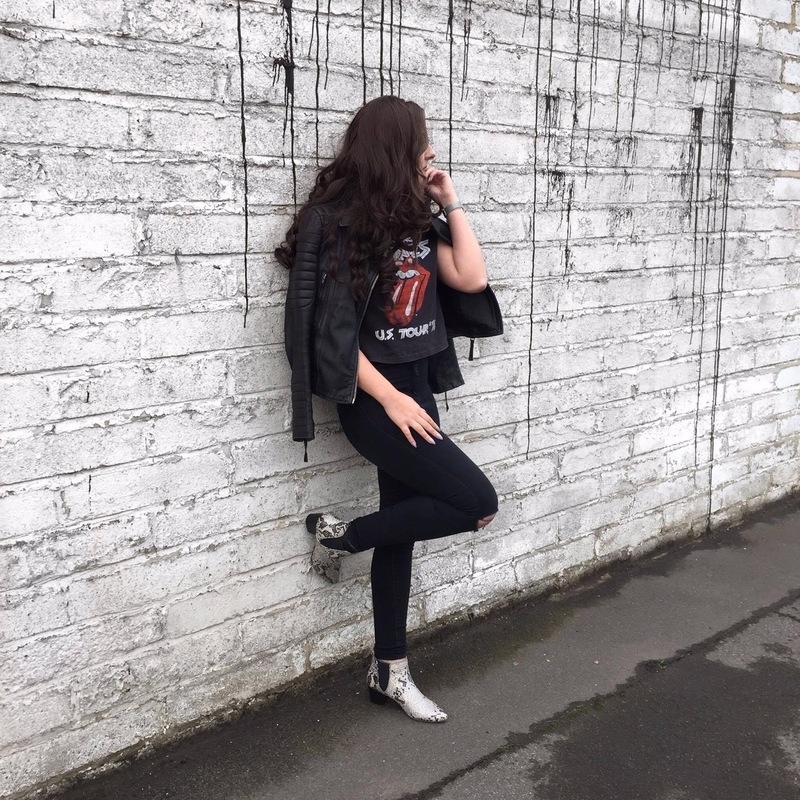 I’m continuing to channel my inner #RockChic. 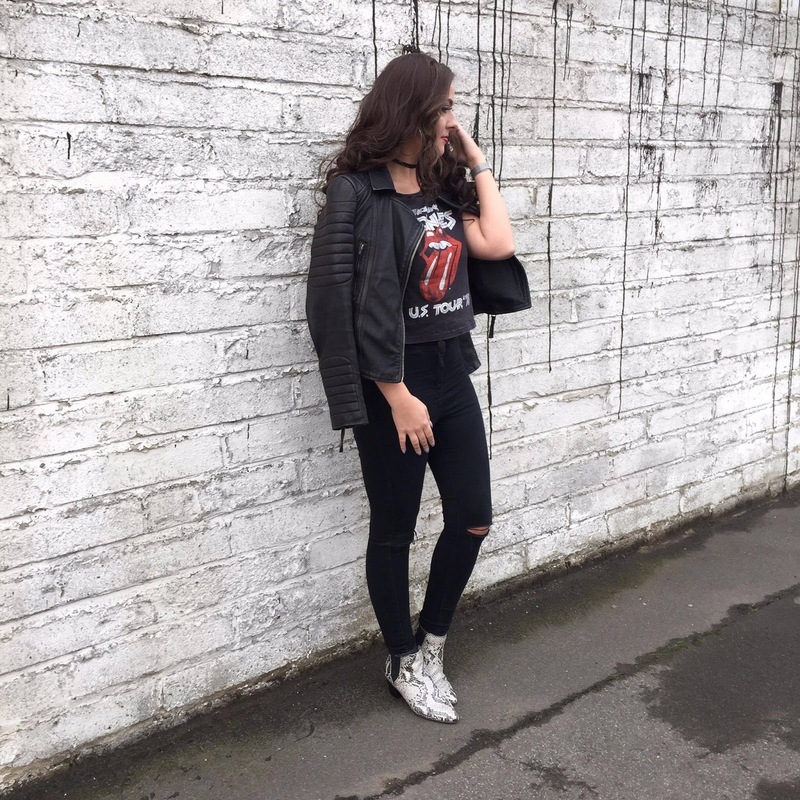 I’ve gone for the stereotypical rock vibes with this outfit by wearing a band tee, which seems to be a big trend for this winter. 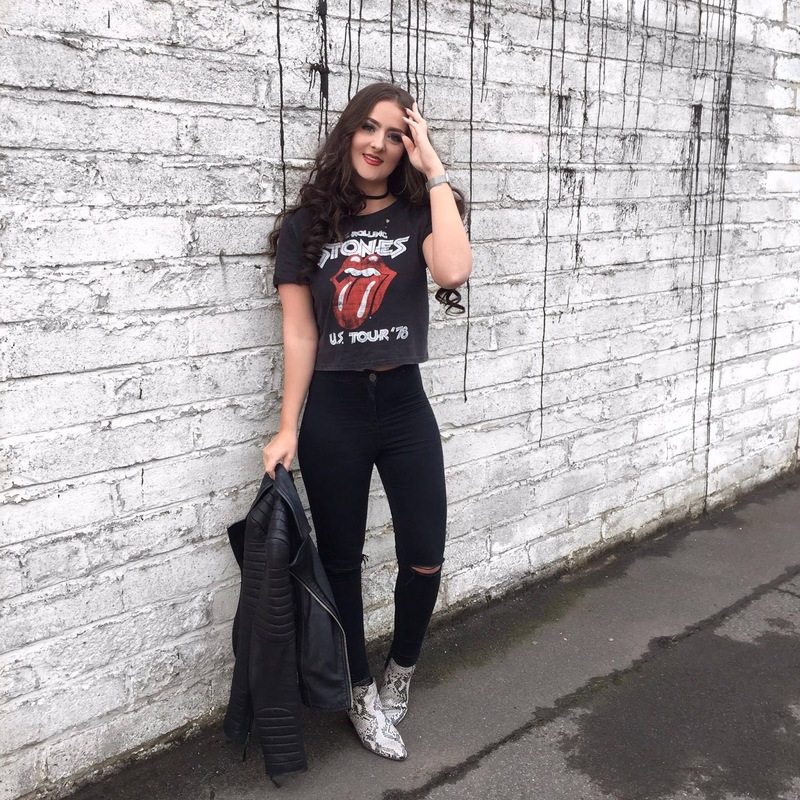 From Gigi Hadid to Kendall Jenner and Kate Moss, everyone who's anyone is rocking a band t-shirt, so I thought I’d jump on the bandwagon. 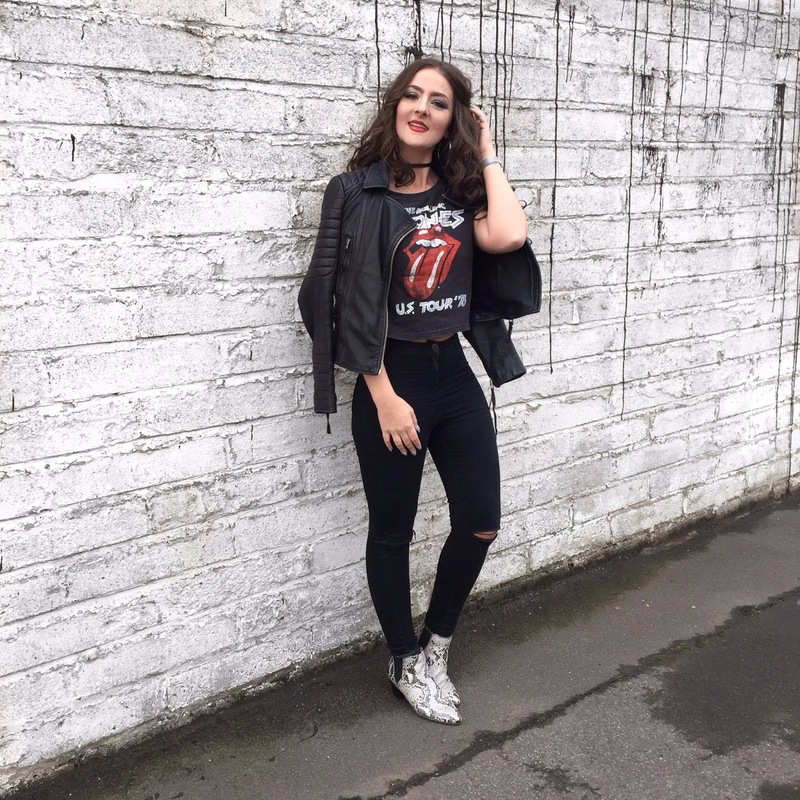 Vintage-inspired prints have become the surprise style hit of the season, and the best part is, they're easy to find on the high-street. 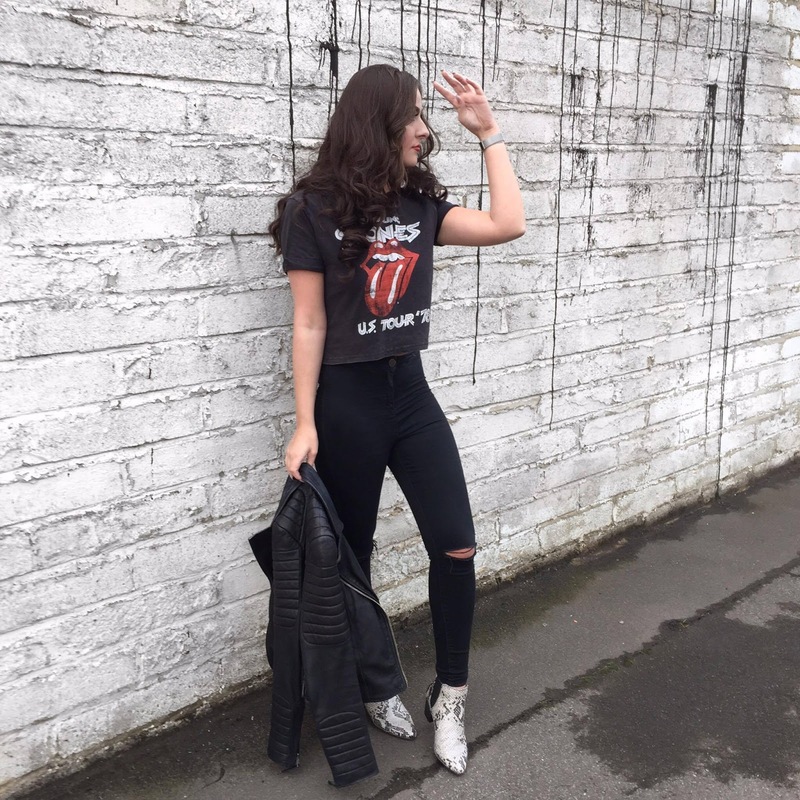 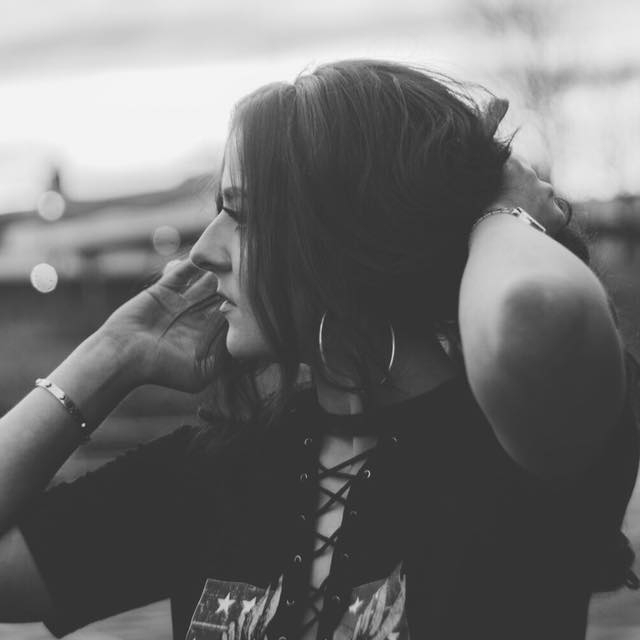 Topshop, Missguided, and Primark have all jumped on this trend with cool print tees for as little as £8, making this one celebrity trend we can all try for ourselves. 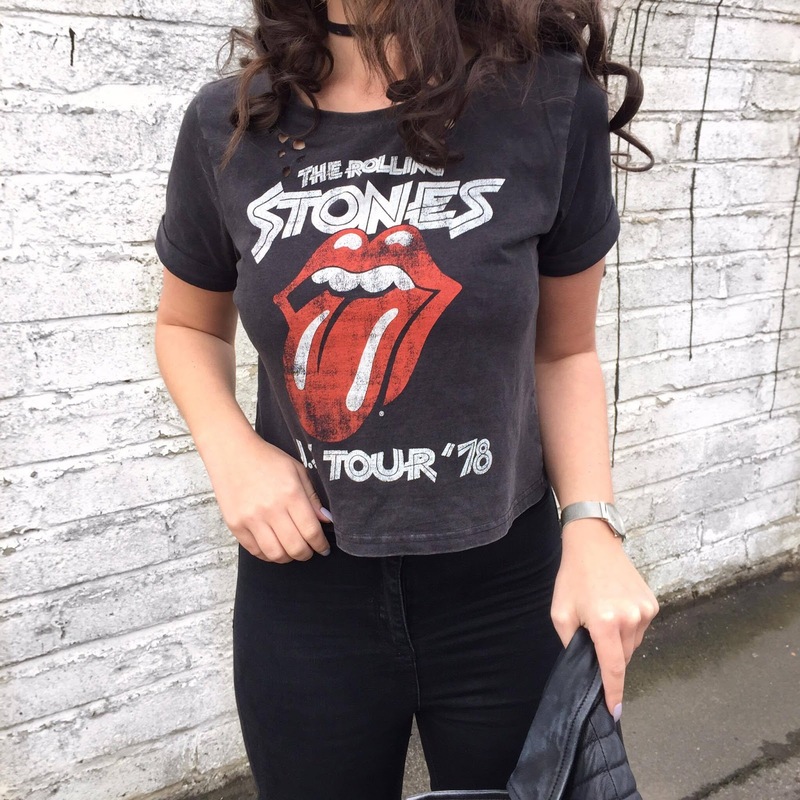 I picked this cropped rolling stones t-shirt in Primark for under £10. 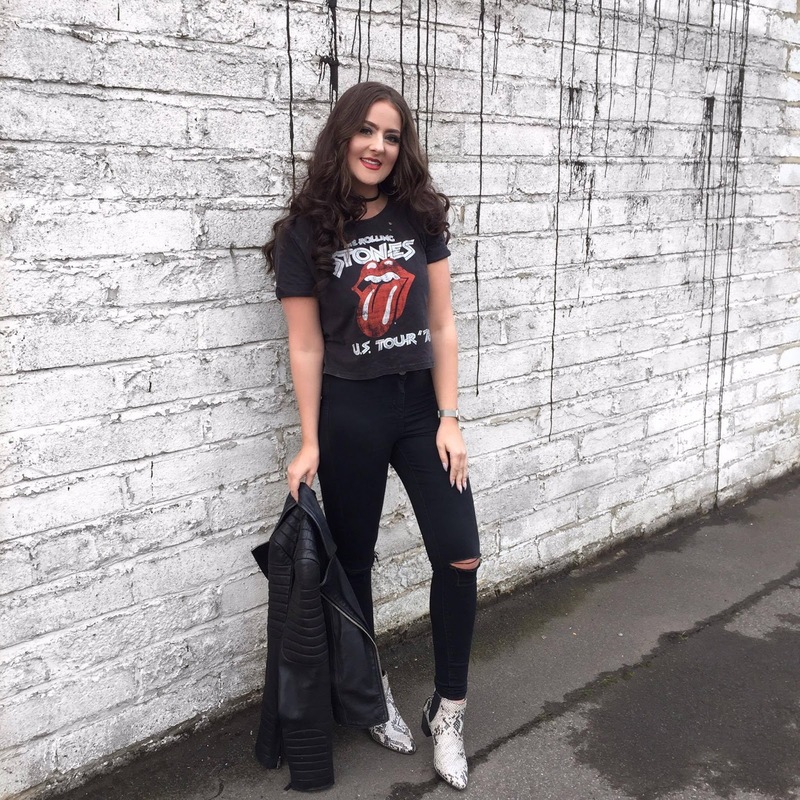 The question on everyone’s lips, especially mine is; ‘Is it ever OK to wear a T-shirt for a band you don't follow?’ Don’t get me wrong I’ve listened to The Rolling Stones but I’m not going to lie and say I’m their biggest fan, does that mean I can't wear the T-shirt? 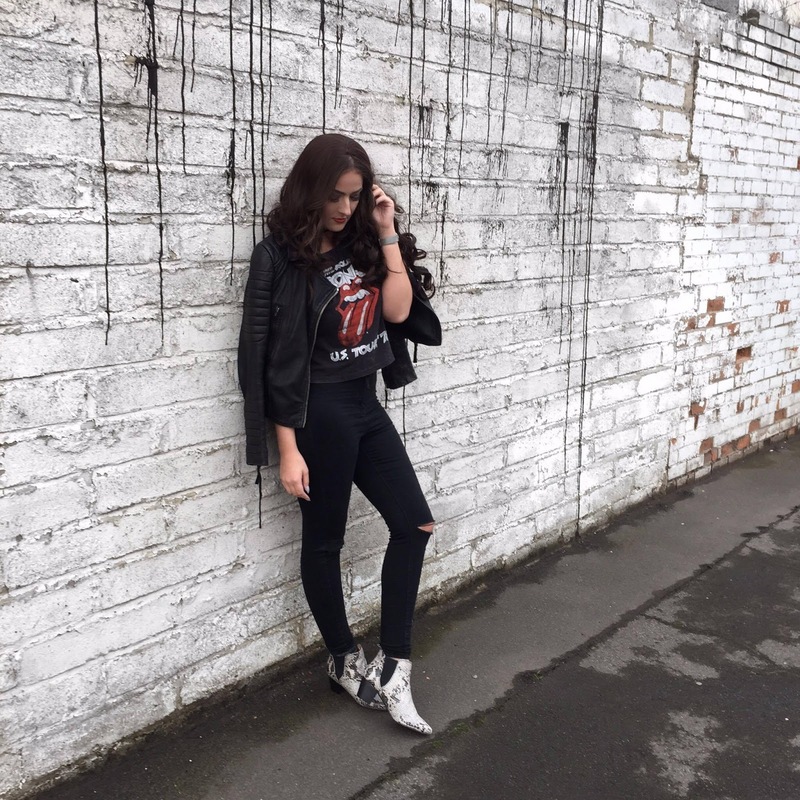 There’s a bit of a rock ‘n’ roll streak running through street wear these days. 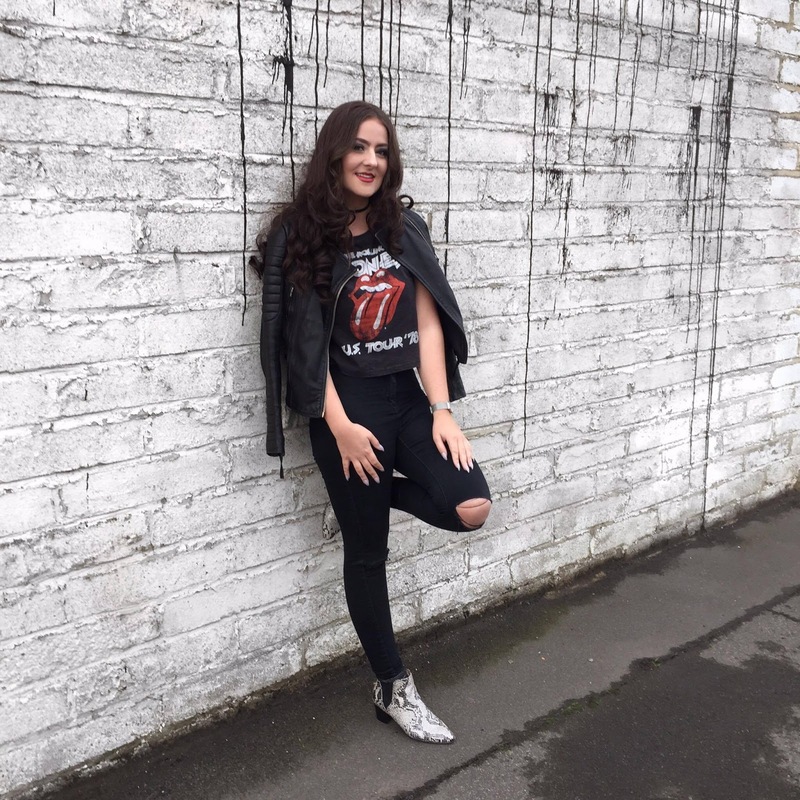 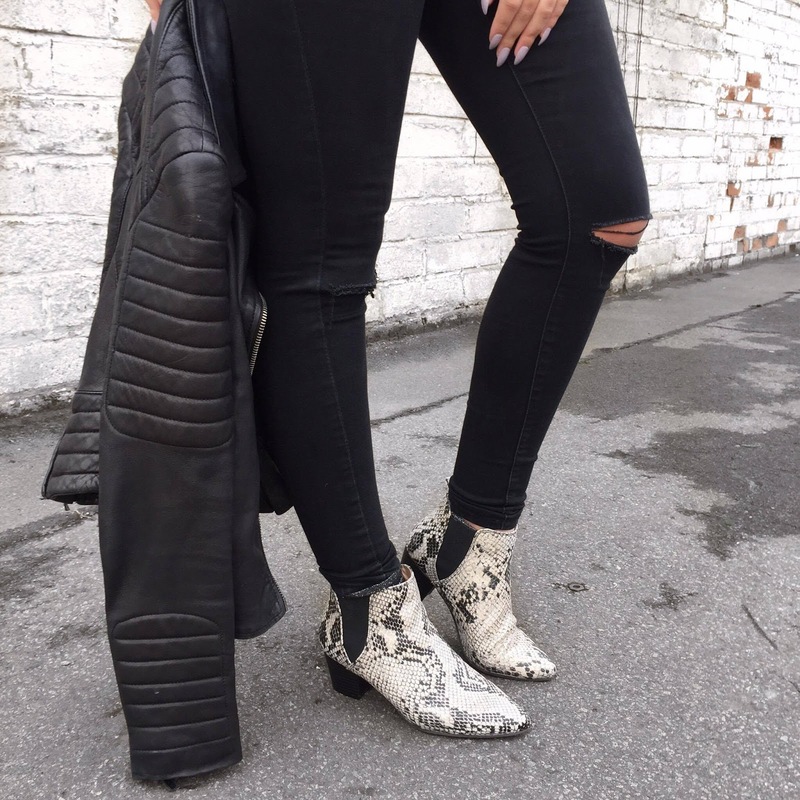 Basically, rock ‘n’ roll staples like biker jackets, shredded jeans and Chelsea boots have become the new streetwear uniform, so with that being said I dug out my All Saints leather jacket and picked up a pair of snakeskin boots to finish off my #RockChic Look.